CHICAGO (WLS) -- Hospitality workers in Chicago marched in front of the Trump hotel downtown Wednesday. They say Donald Trump's views on Mexican immigrants are not welcome here. 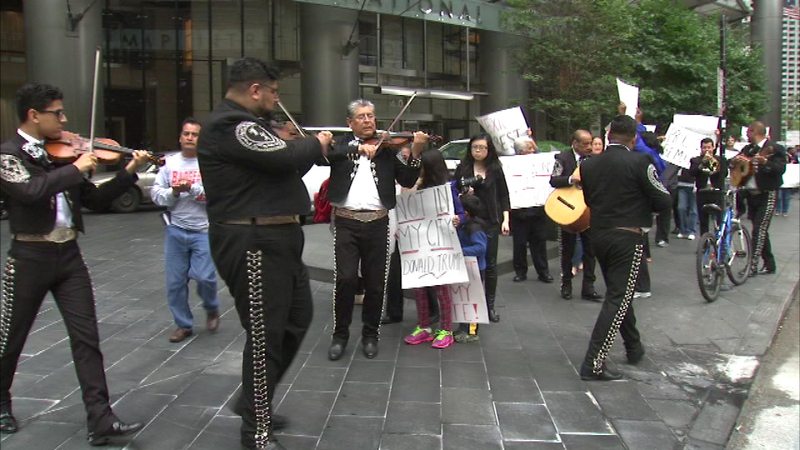 A mariachi band led the protest. Members of Unite Here Local One are demanding that the Republican presidential candidate apologize for saying that some Mexican immigrants are rapists and drug dealers. Trump has refused, repeating his views instead.